Sales teams who have been through our development programs are now #1 producers, close the largest deals in company history, increase customer retention rates, and reduce discount rates. Individual sales reps have gone from 60-150% of quota in less than 6 months and gone onto promotions in their companies. "I found the coaching and advice to be incredibly unique from anything else that I've read or been through in the past. During our engagement, I was able to close about twice as much business as I had prior." "I was doing OK. I sold 9 six figure projects in 7 years. I've sold 3 projects since I started getting coached 5 months ago and I've just scratched the surface. Now I am looking at my goals and thinking, 'Geez, I can do way better than that. 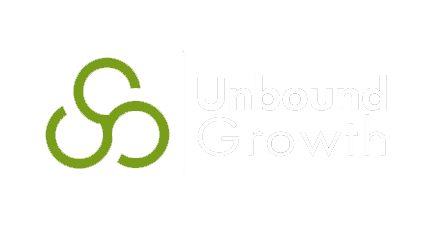 No wonder it's called Unbound Growth.'" "...I felt as if no matter what I did I was treading water without making a solid move in any direction. Fast forward, I ended the quarter at 130%...I can be actionable against it, vs. asking myself why my lagging indicators are all going downhill."